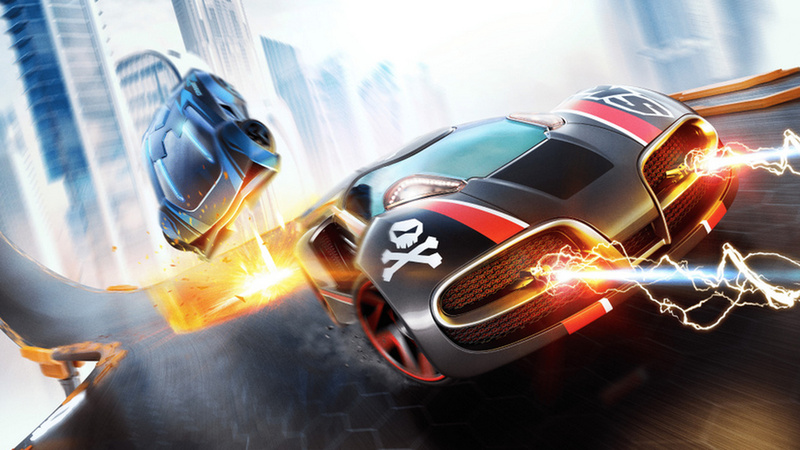 If you've not seen it already, Anki Overdrive is a little hard to get your head around. It's a slot car-style game with no slots that's controlled via an app. The racing happens on the clip-together track but is augmented with the app that steers, shoots and triggers weapons. With the One Shot modifier enabled, players can keep the intensity at an all-time high as each commander is equipped with a golden gun where one well-aimed shot will disable their opponent's vehicle. It's good to see the classic N64 game still casting a benevolent shadow over the emerging world of augmented reality. Even better is how much fun this adds to the game itself. As you can see in the video here, being able to bring down a rival racer with a single round makes for some knife-edge finishes. All this cross-over talk makes us wonder if we could see products like Anki coming to the Wii U. Certainly, a physical racer like this that mapped weapons, steering and speed to the Wii Remote or GamePad would be a lot of fun. It would also be a nice way for players to access Anki's tech without each needing a smartphone. That actually sounds pretty cool! how is this exactly...Nintendo-related? Because Golden Eye was released on the N64 and Wii? @Legromancer The mode is clearly based on the Golden Gun mode in the game, yeah. It's even mentioned in the official press release, which is quoted above. ok. i assume it is an article because it is somewhat cool and related to a Nintendo legacy. Not complaining. Is a bad day anyway for me. BvS is heartbreaking. They had one rule, ONE F***ING rule to not break!